Here's the wrestler, mayor and vigilante from Capcom's Final Fight series of games. I've tried to draw Haggar a lot over the years, but the pics rarely had captured his vibe. This pic was an excercise in patience and being a stubburn ol' goat. I almost gave up, but just kept fighting with it until it was done. 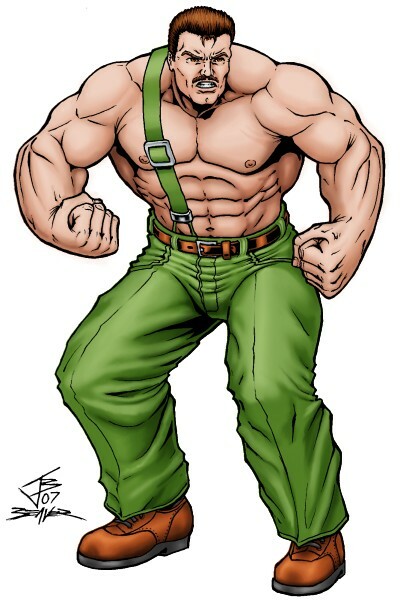 I need Haggar artwork for my ScrollBoss site and I refused to surrender. Even if I end up hating it too much to use the full piece, I still think the face is good enough for use on the site.